Make your gear waterproof again! 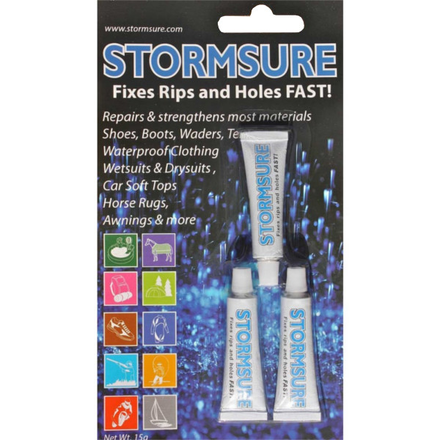 StormSure is glue that allows you easily repair boots, waders or a tent and make them waterproof again! StormSure is very easy to use and dries quickly. The flexible properties of the glue keep the hole perfectly closed off and the material remains waterproof after a repair with StormSure.